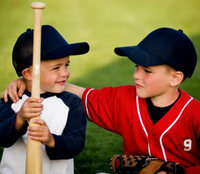 Is Private Baseball Coaching Right for Your Child? A couple of decades ago, private baseball instruction was practically unheard of. The only kids who got it were already performing well and their parents - undoubtedly ones with plenty of extra money - hoped the specialized instruction would propel their sons to the Major Leagues. Considering the fact that only 1 in 200 high school baseball players make it to the Minor Leagues and only one in ten college players make it to the minors, some may argue that the investment is more of a pipe dream of parents with stars in their eyes - especially when you consider the odds of making it to the Majors (less than 10 percent of Minor Leaguers ever make it to the Big Dance). Others claim that it has led to a better understanding of the game, more discipline and, because their children are doing better, they are happier. In the end, it's a game and should be all about fun, after all. In " What local parents says about their kids' baseball, softball instructors," parents are interviewed about private baseball instruction and the progress their children have made because of it. At least of those quoted in the interviews, all consider it an excellent investment. Their kids are doing better in all aspects of the game and are happier because of it. In " Specialized instruction is just part of the game for young ballplayers," private instruction is looked at from a different perspective - the instructor's. Former St. Louis Cardinals pitcher T.J. Mathews made the unlikely jump from being a 36th round draft pick to pitching seven years in the majors for the Cardinals, A's and Astros. Never having the advantage of private instruction, he was lucky enough to have great coaches along the way as well as a father who never put any pressure on him. Matthews now offers private instruction at at the St. Louis Baseball and Fastpitch Academy in South St. Louis County. Parents love the way that T.J. relates to their children, saying that he's just a big kid, himself, and that their kids love going to their training sessions with Matthews. Debbie Mizell, whose son, Isaiah, works with former minor-league pitcher, Wesley Brooks, said of her son, "He's a good athlete and if he's having fun and truly just loves what he's doing, he's going to want to do better. If you find somebody that can bring that out in your child, that's what makes it really amazing." The third Belleville News Democrat article - " What's the best route when it comes to specialized training?" - is the one that I'll delve into more because it looks at the different paths taken by two senior teammates on the Belleville West High School baseball team, Parker Beine and Brendan Saak. Both players are natural athletes and both are in line to be playing college ball next season. Parker Beine, a hard-throwing right handed pitcher being recruited by Division I Eastern Illinois, among other schools, says he's never really seen the need for private lessons. "I never really did a lot of pitching lessons. I played long toss a lot and got my arm strong over the years. One of my friend's dad helped me growing up. I could have probably done a few lessons, but I felt like just playing every day and throwing and pitching was enough." Teammate Brendan Saak has taken the opposite approach. Although he also pitches, Brendan is being recruited by several colleges, primarily as an outfielder. He has worked with instructors at the Gateway Grizzlies Baseball Academy in Sauget for the past six years. "They've really helped me. You have to hit as much as you can between games and seasons to get an edge. The lessons were something I definitely needed and they helped me out." So, the question remains, does taking private lessons lead to a scholarship? West High baseball coach, Lee Meyer, keeps it real. "Let's face it," Lee says, "the innate ability and the natural ability is what a person has to have to perform at a high level. You're either born with it or you're not. Can you make adjustments to add a few miles per hour? Yes you can. But it doesn't mean if I get an instructor at 8 or 9 years old that I'm going to throw 90. Will it get them a scholarship? Absolutely not. They have to perform and somebody has to like them." Meyer says that the majority of high school players have gotten some form of private baseball instruction and that the key is finding a qualified instructor who really connects with your child. He says that he doesn't think that it is absolutely mandatory but that hearing things from a different perspective than just your coach or parents may make something "click." He thinks that it is important at the beginning to have fun playing and that too much instruction can burn kids out, adding, "I do think as they get older, there's a science to it and the kids need to understand that." Meyers' favorite advice to fathers: "Play catch with your son."